DIA’s 2018 Waikato region Share Farmers of the Year Steve Gillies and Amy Johnson went through the judging process and won. A total of 29 farmers have put their hands up to receive free education and mentoring by entering the 2019’s Waikato regional competition of the Dairy Industry Awards. 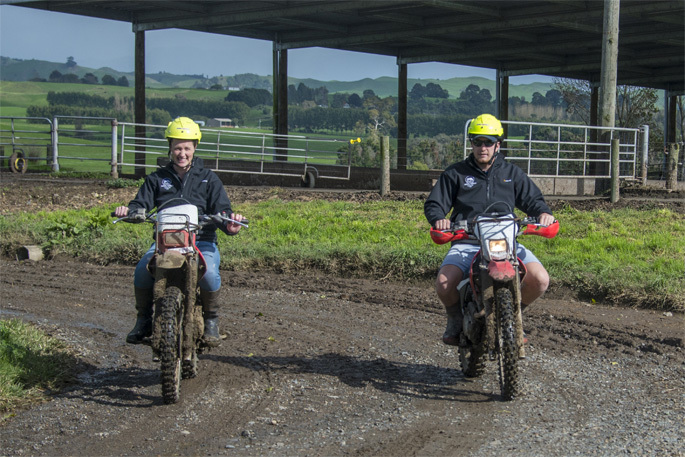 Regional managers Phillip van Heuven and Erin Brown say they’ve had some early entrants pull out for a number of reasons – but those who have entered are from around the Waikato region. “There’s 12 entries to Share Farmer of the Year, which are made up of 50/50 sharemilkers, low order sharemilkers and contract milkers,” says Phillip. The Waikato regional preliminary judging round for DTOTY is February 12-14, followed by finals judging on February 25. Preliminary judging for both SFOTY and DMOTY categories is February 12-14, with finals judging on February 26-28. Phillip says the SFOTY entrants will be judged on financial and business, pasture, livestock, farm environment, human resources; farm safety, health and biosecurity; farm dairy hygiene, leadership and community, making the most of the property, communication; and a Q&A session. DMOTY entrants are evaluated on their farm, stock, feed, personal and power play actions. While DTOTY contestants have an interview – covering general farm knowledge, communication and engagement, career development, personal development and industry awareness – worth 70 per cent and a practical wroth 30 per cent. Philip says entrants are encouraged to have a few practice runs through presentations before judging “so they’ve got their timing right and to ensure they are confident in what are presenting to the experienced judges”. He says the awards programme focuses on connecting, learning and growing so the feedback provided from the judges is very beneficial in their future careers and pathways, regardless of whether they receive a placing or merit awards for excellence in different categories. “Judges are carefully selected and are experts in the field, so it is great they are able to provide advice and guidance,” says Phillip.